(TibetanReview.net, Jan26, 2015) – The local Chinese government of Tibet Autonomous Region (TAR) has said it will talk with Nepal, India and Bhutan this year to launch a Himalaya Economic Rim project. 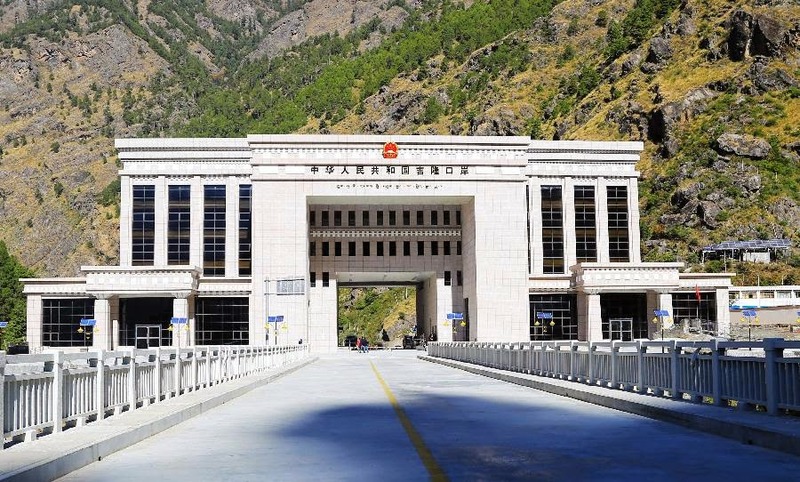 The Himalaya Economic Rim refers to ports in the TAR including Zham (or Zhangmu, Tibetan: Dram, Nepalese: Khasa), Kyirong and Purang economically supported by Shigatse and Lhasa, reported China’s online Tibet news service eng.tibet.cn Jan 23. The report cited the Third Plenary Session of the 10th TAR People’s Congress, which concluded on Jan 23, as saying the Himalaya Economic Rim project will work with the three neighbouring countries to develop border trade, boost international tourism, and cooperate on strengthening industries such as Tibetan medicine and animal husbandry. The report said the TAR was expecting to expand its cross-border cooperation in 2015 in several ways, ranging from speeding up the construction of port facilities, resuming trade in Yadong (or Dromo), to connecting to the “One Belt and One Road” and the Bangladesh-China-India-Myanmar Economic Corridor (BCIM-EC). The “One Belt and One Road” refers to the “Silk Road Economic Belt” and “21st Century Maritime Silk Road” proposed by Chinese President Xi Jinping in 2013. Its aim is to promote China’s cooperation with countries in Central Asia and Southeast Asia in areas such as trade and monetary cooperation, traffic connectivity and people-to-people exchanges. And the BCIM-EC was proposed by Chinese Premier Li Keqiang during his visit to India in May 2013.This corridor aims to promote trade cooperation, poverty alleviation, and people-to-people contacts in Bangladesh, China, India and Myanmar, the report added.